Even though I don’t have a twitter account, I found this infographic pretty interesting. The overall design is very creative and catches the viewer’s eyes immediately. I liked how each profile had its own personality and description and think that it’s amazing how we can fit into categories even though everyone is so different. I don’t have a twitter account either but my friends always talk about it and I can sort of categorize them based on that infographic. The first things to catch my eyes were the birdies. They were so cute, with their rounded bellies! 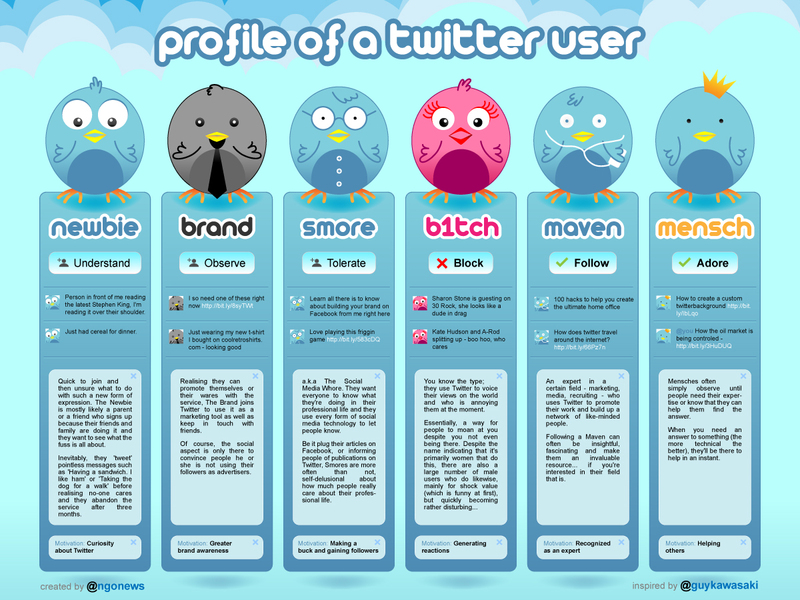 I feel that it might have taken twitter awhile to categorize personalities on twitter because it is so subjective. Subjective things are much harder to categorize or measure which makes this infographic even more intriguing for me.